Hard-working trees reduce pollution, release oxygen and give us privacy and shade. They can add curb appeal, provide shelter for birds and cut down on noise. They can even lower our energy costs by blocking the hot summer sun or the winter winds. Autumn is usually the best time to plant new trees or tree seedlings, when the weather is cool but before the ground freezes. Cool temperatures help them establish the root systems they need for the growing season. Ask yourself a few questions to find the best tree for your needs. Do you want a flowering tree, a shade tree, a purely ornamental tree or one that produces fruit? Do you want to attract birds, butterflies or other wildlife? What trees are growing and thriving in your neighborhood and local parks? Those may be good choices for you, too. Do you want a tree that holds its leaves all winter? How about one that changes leaf colors in fall? Do a little research on different kinds of trees before you shop. 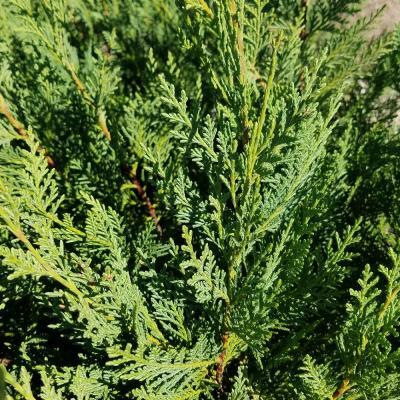 You might want a fast-growing tree for shade, if you won’t be in the same house for a long time, or a dwarf tree to grow near your front entrance. Trees are sold bare-root, balled in burlap or in containers. Bare-root trees are usually smaller and easier to handle, but they can take longer to mature. They should be planted as soon as possible or kept in a bucket of water so their roots won’t dry out until you can get them into the ground. Watch how the sun moves over your planting site. Some trees need more sunlight than others. Fruit trees, for example, need at least six hours of sun each day. Refer back to your research or read any planting instructions that came with your tree. Consider the plants, shrubs and trees already in the area. Are there any you want to remove or replace? Read the tag on your tree to see how tall it will eventually become. Does your planting site have room for its canopy when it matures? Will the tree brush up against your house? Are there overhead obstructions such as wires or eaves that it might hit as it grows? Don't plant too close to your foundation, so the tree roots won't grow under it. Be safe and avoid utility lines when you dig. A few days before you start, call 811. It’s a free, federally designated number that connects you to a “one call” center. Homeowners and professional landscapers can use this service. The center will contact your local utility companies and tell them where you want to dig. Someone will come out to mark the approximate location of your buried lines, so you won’t accidentally hit them. Some lines may be just inches below ground, so this can prevent a lot of problems, including injuries, property damage, possible fines and repair charges and local service outages. Knowing the location of your underground utility lines will also help you plant a safe distance away from them, so the tree roots won’t contact or damage them as they grow. Once you have selected a tree, it’s time to dig the hole. Measure the tree’s root ball. Dig the hole at least three times the diameter of the root ball of the tree and no deeper than the root ball. You may want to wear garden gloves to protect your hands. Place the soil on a tarp or in a wheelbarrow to avoid killing any surrounding grass. If you’re digging in ground with a high clay content, check the walls and base for glazing. Glazing refers to the smooth sides and base of the planting hole. It can prevent tree roots from absorbing water and growing into the surrounding ground. Use a gardening tool, such as a garden fork, to scratch a few inches deep into the soil and break up any glazing. Dig a slightly deeper ring around the outer edges of the hole, leaving a higher ridge of compacted soil in the center. Later, you'll put the root ball of the tree on this ridge. Gently loosen the root ball with a shovel or your fingers. If the tree is in a burlap wrap, remove any string, wire or twine and discard them. If you’re planting a container-grown tree, gently tap around the edges, tip the container on its side, and slide out the tree. If it's in a plastic container and it won't come out, you may need to carefully cut away the container with a sharp knife. Use your hands or a shovel to lift the tree by the root ball and lower it into the hole. Place it on top of the raised center section and let the roots spread out. Lay the handle of your shovel across the hole to check that the crown of the root ball is level with the surrounding ground. If the root ball is below the surrounding ground, remove the tree and add more soil. If it’s too high, remove more soil from the hole. If your soil is sandy and fast-draining, add some peat moss to the excavated soil. Use that mix of native soil and peat to backfill the hole. The peat will absorb water like a sponge. In most regions, you won't need to add amendments to your soil. As they grow, the tree roots will adjust to the native soil around them and start to spread. Straighten the tree and stake it, if necessary. Young trees may need stakes until they’re established. Tie the stakes loosely to the trunk, so it won’t be injured as it grows. Backfill with soil just to the height of the ball or slightly lower to allow for settling. Don’t mound the dirt over the ball and up the trunk so that it looks like a volcano. Be careful not to compress the soil too much. Mound dirt around the tree to form a moat that will help collect water. Spread 2 inches of bark or wood chip mulch around the area to help retain water and control weeds. To help discourage insect pests and diseases, don't let the mulch touch the trunk of the tree. Clear any mulch away from the base of the trunk so air, light and water can reach the soil. Mulch piled too high on a tree trunk can lead to rotting. It’s fine to prune away any broken, unhealthy or diseased limbs, but wait until the tree has been in the ground for about a year to do any additional pruning, if it's necessary. Water the tree at the time of planting and at least once per week during its first growing season. Water it more often during the height of the summer if rain is scarce, or if it’s windy enough to dry out the soil. Avoid over-watering the tree by giving it deep soakings rather than frequent, light waterings. A soaker hose can help deliver water to the roots. Water from a garden hose often runs off before it can penetrate deeply enough. Don’t fertilize a newly planted tree. Wait two or three years, or until your tree is established. Except for fruit trees, many mature trees don't need fertilizing at all. 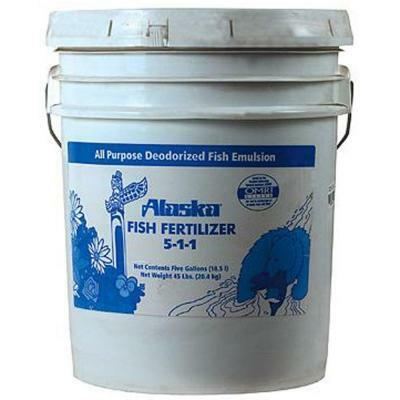 If you do use fertilizer, follow the directions on your product for how much to apply and how often. In general, it's best to fertilize trees in late April or early May or late in the fall, when the tree is dormant. Want to add a new shrub or shrubs along with your tree? As with a tree, watch how the sun moves across your planting location. Consider the distance from where you want to put the shrub to any existing plants. Make sure it will have room to grow and that it will get as much sun as indicated on its tag or label. Dig a hole as deep as the root ball and two or three times as wide. Remove any rocks, roots or other debris from the soil. Gently loosen the shrub’s roots with your fingers or a garden trowel. Place the shrub in the hole and check that the base of the trunk is even with the surrounding ground. Create a moat of dirt around the drip line of the plant to allow water to collect around the shrub. Spread 2 inches of mulch or pine straw around the shrub, but away from the base of the trunk. Give the shrub a long, generous watering at planting time. 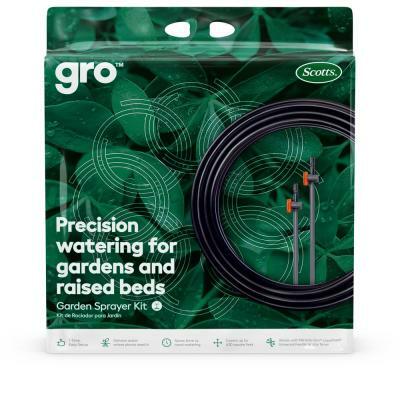 You might want to use a drip irrigation kit to apply water slowly, so it has time to soak into the ground. Some kits have timers, so you can program them to start and stop automatically. If rainfall is scarce, repeat the deep watering two or three times per week until the shrub is established. Apply a plant starter solution to your shrub immediately after planting. Wait to fertilize until late April or early May, or in autumn when the shrub is dormant. Follow the directions on your shrub fertilizer product. Check out additional The Home Depot guides to learn more about how to plant a tree and maintain the plantings in your landscape.